Rev. 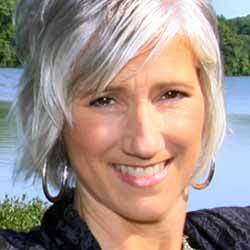 Dr. Stephanie Red Feather is a divine feminine change agent and champion of empaths. Since 2007 she has led experiential workshops, initiatory processes, and private facilitation, holding space for spiritual seekers to remember their divine nature and heal their human wounds. As an ordained shamanic minister, Stephanie’s passion is to help fellow empaths embrace their soul's calling to evolve humanity to the next stage of consciousness. Stephanie has long worked in the realms of subtle energy. She holds both a master’s and doctorate in shamanic studies from Venus Rising University, which was established by one of her mentors, Linda Star Wolf. She is a Magdalene high priestess in the lineage of Nicole Christine, as well as a certified facilitator of the Priestess Process™. In addition, she holds certifications in a variety of energy healing and psycho-spiritual modalities including Reiki master, certified Shamanic Breathwork™ facilitator, and voice dialogue coach. Stephanie is a mesa carrier in the Pachakuti Mesa Tradition, having studied with don Oscar Miro-Quesada and his lineage since 2005. Stephanie is the founder and director of Blue Star Temple and a prolific creator of programs and materials. Her first book, The Evolutionary Empath, is due out November 2019 through Inner Traditions.